It's quick and easy for you to save money on Periodontics and more at a Torrance dentist. Enter your ZIP code above to compare the discount dental plans in Torrance and view a list of participating dentists. Decide on the right plan for your needs and enjoy discounts on most dental care services at dentists like Dr. Corwin W Evans. Visit the dental office of Dr. Corwin W Evans in Torrance and obtain deep discounts on Periodontics and other dental care services. 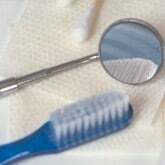 At DentalPlans.com, our discount dental plans start at only $79.95 per year and can provide you with significant savings on most dental care procedures like on Periodontics and more. The DentalPlans.com dentist directory features more than 100,000 participating dentist listings in combined networks, including many general dentists, orthodontists, periodontists, oral surgeons, and more. So if you want discounts on oral exams, cosmetic teeth whitening, braces (orthodontics), root canals, crowns and more, our qualified Torrance dentists or dental care specialists can help address your dental care needs.